As real estate agents, we are constantly looking for new, untapped sources of leads. Today we’re going to look at one such source: builders and new homes. .
Last year more than 608,000 new homes were sold, representing a significant source of listings. What’s more, new homes typically sold at higher average sales prices compared to similar existing home inventory. Representing more than 10% of the market, we simply can’t ignore this inventory and source of potential business. To truly tap into this market, however, you need to develop a relationship with homebuilders in your market. With our Home Builders campaign, you can do just that. Help represent buyers to purchase builders’ homes – This one is pretty straightforward. You’re just representing clients that are looking to purchase brand new homes. Help Builders’ buyers sell their homes so they can buy new – When a buyer goes and meets with a builder, a high percentage will still have a home to sell. It’s extremely important to the builder that the new buyer sells their home so that they can buy the new home. If you can help those buyers list and sell their homes,you’re building trust with that Builder because you’re taking care of one of their primary concerns. Help Builders market and sell their homes to prospective buyers – Here is where we can really offer our skills and develop a mutually beneficial relationship with builders. 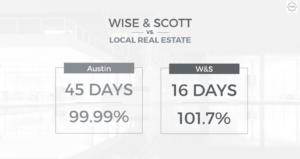 When it comes to marketing and selling real estate, we’re the experts. So while some builders may have a marketing department or even an agent they currently work with, we can show off our marketing know-how to get an “in” with builders. By showing how you’ll use the latest digital marketing techniques, such as Facebook Advertising, to target buyers where they are, you can really impress and build a mutually beneficial relationship. Now that you know the three distinct opportunities builders offer, how do you get the conversation started? The same way you start a conversation with any seller: by setting an appointment and pitching your skills during a “listing presentation”. That said, the conversation and presentation when talking with a Builder should be slightly different than working with a Seller. You’re not working with a homeowner; you’re working with a business owner. 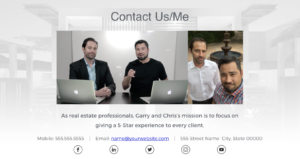 You should create a listing presentation tailored for your appointments with builders, and in it, you need to address their specific concerns. Show builders how your market knowledge, network, marketing skills, and more can benefit them. Objective: Organize a conversation to communicate the value you can offer a builder. Most real estate agents and firms market homes by simply listing them in the MLS, putting a sign in the yard, and hoping the property sells. While this may get the home sold, it doesn’t attract enough prospective home buyers to create demand for the home, and therefore properties often sell less than the true potential sales of the home. At the same time, limited marketing approaches do not build a brand to attract future buyers interested in the area or your homes.A targeted, thorough marketing campaign would not only sell your property for more, it would attract future buyers and increase the demand for your homes overall. 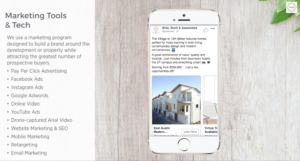 Second, show the Builder the specific marketing campaigns you’d run for them, emphasizing that you will not only market the unit or house that’s listed but also their brand. In fact, you could showcase two campaigns: one for the brand and one for the listing. This is your opportunity to communicate that this is a partnership. As you help them build their brand, you build trust that eventually leads to a long-lasting, mutually beneficial relationship. Create a mock-up of what you would do for them using the Builders’ actual photography of their homes. This shows them you care enough to go through and show them what you’re going to do differently instead of just telling them. 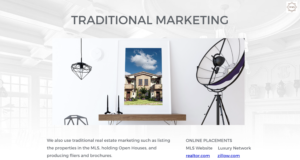 Traditional Marketing – We also need to show the Builders we use traditional real estate marketing such as listing the properties in the MLS, holding Open Houses, and producing flyers and brochures. Another aspect of this Builder Program Kit that is very important is to address the fact that what you do differently produces a different, better result. Wrap it up with a contact page. You’ll want to add a couple photos to your contact page as well as all the available ways to contact you. Not only does this leave your Builder with a variety of ways to contact you, it also shows how available you’ll be to them. You’ll be leaving a copy of this presentation (digital or print) with the Builder. Use the Builder Program Kit to start building relationships with Builders in your area! I very much appreciate this Blog report...I am in Northern CA one mile from the Santa Rosa Coffey Park firestorm last October. I became an agent 2 months before this, and no one wanted to be my broker because all the agents began living on their savings, and listings became raw land, and the few houses that became listings showed as photos only, with "text to this number" written on them, and not the town location. I ended up with an online Broker (for a few crummy months). Fast forward to me going into New Homes Sales as a temporary. My temp company pays $2 more per hour than the other company around here, but they lost their sales rep 2 months ago, and now I am sending cover letters and my resume, targeting my experiences as a temp, to new builder projects that are stuck in a "coming soon" spot due to a severe absence of qualified construction workers in this area. A real conundrum. Listening to your Blog has me realizing that I must continue to send letters with more info about how I am the person to hire when these projects start up. I learned about the business when as an agent I received $26K for bringing my partner to KB Homes (which of course I gave back to my loving partner). Many new home buyers have no idea that they need nearly $30-40K more money than just the purchase price! BTW, when you temp in New Home Sales, you cannot market resale homes! Just wanted to say -- love your stuff -- and at this time I just have no money to expand, but thank you for all that you give freely!